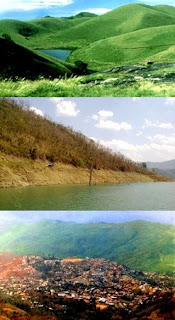 Wokha - is a district in Nagaland, India, and is the home of the Lotha tribe of Nagaland. 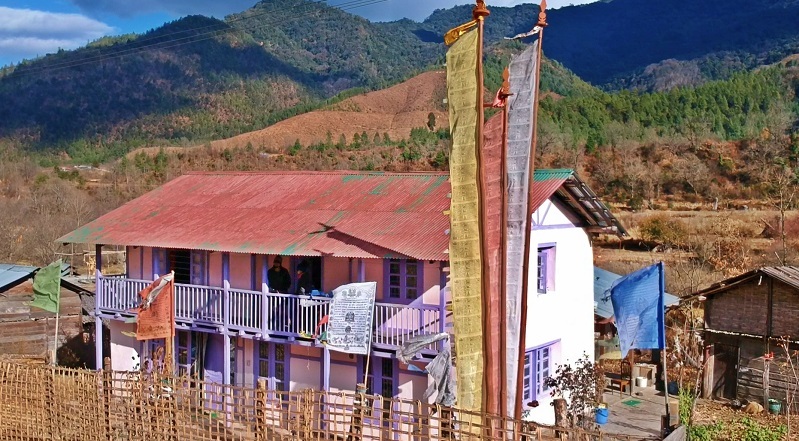 It is located in the mid Western part of the Nagaland State and is known for mystic 'Mount Tiyi', Doyang river, and songs and dances of the Lothas. Wokha literally translates into 'Census' in Lotha language. It was the District Headquarters of Naga Hills under Assame in 1876 under the British Government. Later the headquarters was transferred to 'Kohima', as Wokha remained a subdivision. In 1973, after India acquired independence, Wokha was created a district. Wokha is a land of festivals, dances and songs of the Lotha tribe. Lothas are known for their shawls (Opvuram, Longpensu, Sutam etc.) (weaving), colourful dance forms (Mungyanta), folk songs and festivals (Tokhu Emong, Pikhuchak, Shanta etc.). Lothas are charming and vivacious hosts. They are also known to be very candid and hospitable to the visitors and strangers. The hilltop villages of the Lothas are constellated with ancient stone monoliths (Longsu). Oranges, and pineapples grow abundantly in Wokha hills. Rice, vegetables, bamboo shoots and cottage industries share the economy of the district. Wokha hills are surrounded by forests. Colourful 'Rhododendrons' are found clasping the rocks and cliffs. Recently, oil reserves have been explored by ONGC (Oil and Natural Gas Corporation) in Champang oil fields. There are many places to visit in Wokha. One can go to Mount Tiyi, a peak believed to be the abode of the departed souls, or, to the nearby villages like Longsa, Nrung Longidang, Yanthamo and Longsachung to get a sense of the unusual remnants of the past culture. One can see the 'land of death' from Yanthamo village. The Doyang river is the longest and largest river in the district. Several streams from the hills fall into the river from the central and the western parts and give it the most fascinating look. The Doyang Hydro Electric Power Project utilizes the discharge from the Doyang.